I stood on the stage yards from singer Tom Meighan as the band Kasabian belted out a rendition of Club Foot. As I turned my head, I could see the drummer and then the audience behind me dancing and jumping ecstatically. I am not a big fan of Kasabian, but it's hard to deny this was an impressive demonstration. Watching a live concert through virtual reality (VR) goggles may not be quite the same as actually being there – but it feels pretty close. The man behind the experience is Henry Stuart, the co-founder and CEO of Visualise. The company is one of over a dozen small high-tech companies operating from Second Home, a futuristic office space in a former carpet factory in London’s Shoreditch. Virtual reality has been around as a concept for decades, but only now is the technology sophisticated and cheap enough for it to reach the mainstream. The reason is simple: smartphones are now powerful enough to act as high-resolution screens in mass-market virtual reality headsets. Visualise uses the Unity development platform, originally designed for making mobile phone apps and games. Once a virtual reality application is designed, Unity allows the same content to be exported to a wide range of platforms, including Android, iPhones, PCs and Macs. Google is riding the wave by designing cheap cardboard virtual reality headsets using Android phones as the screen, already available on the internet. And Oculus VR, maker of the Oculus Rift, has teamed up with Samsung to develop virtual reality devices based on Samsung phones. Using mobile phones as a virtual reality screen has many advantages. Phones do not require wires, making it possible for the wearer to move freely, and the gyroscopes and movement sensors in the phone can track the wearer’s head movements to give the feeling of being immersed in a virtual world. It will probably be two years before virtual reality captures the public's imagination and begins to really take off, says Stuart, and it will initially be driven by the demand for entertainment and computer games. “We predict that when people see the capabilities through the sound and sense of place offered by computer games, they will want to do more with virtual reality,” he says. Facebook, which bought Oculus VR for £2bn in 2014, has over a billion users worldwide who could use the social media site for playing virtual reality games. It is working with the owners of Second Life, an alternative computer-simulated world in which users will be able to walk around as 3D “avatars” and meet other people. Sony is developing a virtual reality headset, dubbed Morpheus, for the Sony Playstation games console. And Microsoft has announced HoloLens, a headset that will link in with the next version of Windows to create virtual reality simulations. “Computer games are going to drive virtual reality,” says Stuart. By 2018 the market for virtual reality technology will be worth over $400m a year, according to market research company Markets and Markets. But whether this first generation of low-cost virtual reality will capture the public’s imagination is a point for debate, says Steffen Sorrell, analyst at Juniper Research. “We will begin to see proper headsets coming out from mid to late 2016. The question is are they going to work as advertised, and are consumers going to be interested in them?” he says. One of the biggest potential problems is that users can become nauseous if there is a delay between their actions and on screen image movements. “If it makes you sick it's not going to have mass-market appeal,” says Sorrell. In the longer term, the technology is expected to find applications in business, teleconferencing, education and industry. For now, Visualise’s clients tend to be big advertising agencies that want to create a “wow factor”. “We get commissions from the big brands or the agencies that represent them,” says Stuart. 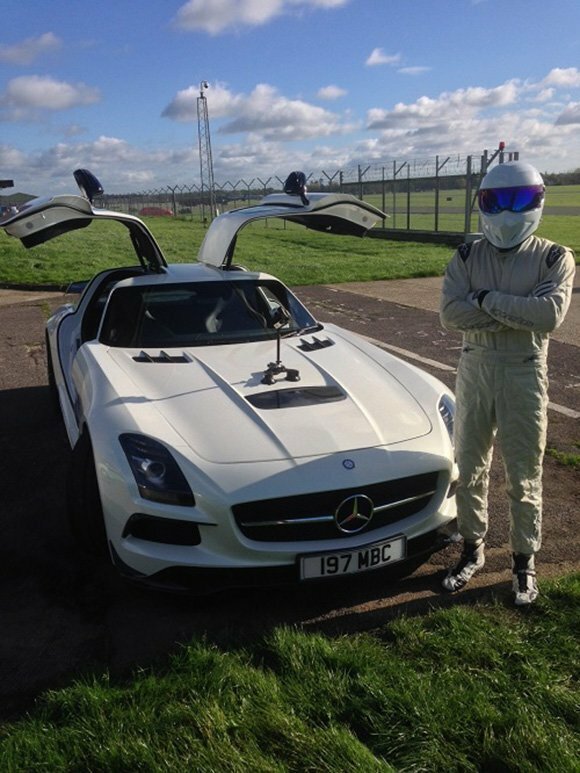 The company has developed high-speed driving simulations with Nico Rosberg at Silverstone, and the Stig from the Top Gear television series. Advertisers and car manufacturers use them show off their products at conferences and at hospitality events for their clients. One of the company’s most impressive demonstrations is more down to earth – a 3D simulation of a luxury seaside villa. Visualise has constructed a luxury virtual complex in exquisite detail, down to the swimming pool on the terrace and furniture in the rooms. Created for a property conference in Paris, the simulation allows the viewer to see the villa from every angle, spin it around, and peer like a peeping-tom through the windows. Lift your hands in front of you and you see a skeletal image of your own hands, which you can use to navigate your way through the rooms in the building itself. The demonstration uses an Oculus Rift DK2 headset, a fitted head tracker and a leap motion sensor to detect hand movement, while a powerful desktop PC generates the images. Creating virtual reality requires sophisticated technology. Visualise uses a camera known as a “Penta Rig”, essentially seven fisheye cameras formed into a ball, to film immersive scenes. The cameras, manufactured using a 3D printer by a firm in New York at a cost of around £6,000, are still in their infancy. “There is no really good solution. Ideally in virtual reality you want to have stereoscopic (3D) and 360-degree vision. This is still a developing area for virtual reality,” says William McMaster, Visualise’s Canadian head of virtual reality. Most of the time that does not matter. The images are such high resolution that they feel three dimensional even if they are not. However, an advanced camera that will combine both 3D and 360-degree filming is in the works and should be ready in a few years' time. One of the hardest things to get right in virtual reality is the sound, which, like the pictures, must be three dimensional. One film, soon to be released, demonstrates a high-end sports car driving near the sea. It took six microphones to record the sound of the car driving, and the results are impressive – you can actually hear the sound of the waves breaking. “With positional audio, it makes you feel much more part of the experience. It feels real and present,” says Henrik Oppermann, sound specialist. Visualise’s objective is to create an elusive quality called “presence”. McMaster describes it in almost Zen-like terms – something you can grasp, but only fleetingly – a feeling that you are actually present in the scene. Visualise differs from most other startup companies that share Second Home in that it has shunned venture capital and crowd funding. It began with a commission to produce a 360-degree film of the Olympics in 2014, and then the Winter Olympics in Sochi. Since then the company has gone on to film the World Cup for Fifa, and the royal wedding for the BBC. “We are self-funded and growing organically, which places us in the minority of the companies in Second Home. We are growing first with our own funds,” says Stuart. The company is too small to file full accounts at Companies House, but it is making profits and claims to have doubled in size over the past 12 months. Stuart regards his biggest competitor as US-based Immersive Media, which developed one of the first 360-degree digital cameras and mapping technology for Google Street View. But advertising and film companies are also dabbling with the technology. “There are a lot of production companies that have moved into VR from different backgrounds. 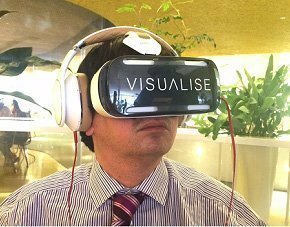 There are very few companies that are virtual reality specialists like Visualise,” says Stuart. This is important, as producing virtual reality footage is difficult to do well, he says. Get it slightly wrong, and the viewer can be left feeling ill after a while – the electronic equivalent of motion sickness. Ultimately, Visualise plans to branch out by producing its own virtual reality content, including documentaries and training programs. “We are interested in experimenting with other forms of virtual reality, whether it's architecture, documentaries, games, or otherwise. No one yet knows what will be possible using VR,” says Stuart. There are also commercial applications such as simulations and training. Virtual reality could be used to train surgeons, or enable them to conduct operations remotely, or to train soldiers in bomb disposal techniques. “We are continuing to grow the team, building our commercial potential, and branching out and producing examples that will get us noticed in the industry,” says Stuart. Are we on the cusp of a virtual reality revolution? Imagine being able to go on a virtual reality date with your favourite film star, says Stuart. You might choose to go for a romantic dinner for two, or to canoe down the Amazon, and the outcome of the date could vary depending on how you interact. There are practical uses too. Virtual reality will allow people to sit down for meals with relatives or friends, even when they are overseas. They will able to talk to and see each other, just as if they were in the same room. The idea of virtual reality movies, which could allow viewers to participate in the action, is generating a huge buzz in the industry. “There is a lot of talk in the film market about virtual reality. You can be in a film and have your favourite film star standing next to you,” says Stuart. There are a huge number of challenges to be overcome, such as ensuring people look in the right direction so they can follow the plot. One way is to use visual cues to attract the viewer’s attention. Another might be to create a range of different plots that respond to the behaviour of the viewer. “We see this as a whole new form of media,” says Stuart. “It’s a whole other way of experiencing content. I am confident that if it takes off it will be a massive market, and we are trying to grow so we can be part of it,” said Stuart.